The positive development of people through judo will always be the number one priority of Sportif & FIJ Sportif Judo. 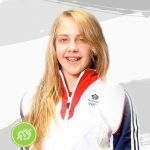 Our aim is to create a friendly, positive environment for people to learn judo and ultimately to create confident, respectful and skillful judo players and athletes. 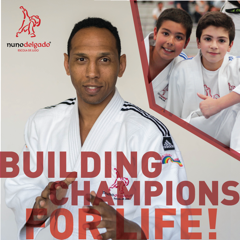 Sportif Judo’s club moto is “Judo builds people” and the entire ethos and development of Sportif is built around this simple philosophy. At Sportif Judo we want all our members to achieve their individual potential, to be the very best they can be, no matter what level of judo they practice. For the most committed players we offer the opportunity to be part of the Sportif Excel Program. The Excel program’s structured pathway is recognised as the country’s most successful talent and performance program and designed to provide training and opportunities both in the UK and around the World. Judo is one of the few sports or activities that can be practised by people of all ages. Judo develops all round fitness, strength, mobility and endurance. It is a sport and a self-defense system and for many people and especially people who take up the sport later in life judo brings focus, a new challenge and a sense of purpose. Sportif is very proud of its adults program which has seen both men and women starting judo in later life and after several years of effort and commitment achieve their black belt. ‘Judo builds people’ of all ages. When Euan started judo as a beginner with Sportif he was a shy and very slight little boy. With great support and encouragement from his Mum and Dad Euan grew in confidence and stature. A two time Team GB Olympian, flag bearer for Team Scotland at the Glasgow 2014 Commonwealth Games Euan is now the High Performance Director for JudoScotland. As someone who has stepped onto a judo mat almost daily from the age of 6, judo has been with me as long as I can remember. I cannot imagine my life without it. I genuinely believe that every positive quality I have has been developed through judo. My best friends, best experiences, best memories and best learning have all come from a life in the sport. Judo is so much more than a sport. With its strong moral code, and underpinning philosophy that the ultimate purpose of a judoka is to contribute positively to society, judo is an endeavor that provides a physical, mental and emotional education. A great judo session is a fantastic blend of fun and discipline, challenge and support, passion and self-control. I began my judo journey with Sportif Judo in sessions just like that, over 30 years ago. Sportif the club may have grown, adapted and changed over those years however what has always remained is the ethos that ‘judo makes people’, that the sport acts as a catalyst for positive change for people, for communities and for society. It is a fantastic sport and I wish you all the very best for your journey in it with Sportif Judo. Nuno Delgado Escola De Judo and Sportif Judo go together like a “Gi and a belt”. Nuno Delgado is a former European Champion and Olympic medallist. His judo School and Academy is World renowned. Like Sportif Judo, Nuno shares the same ethos that judo is more than just a sport. 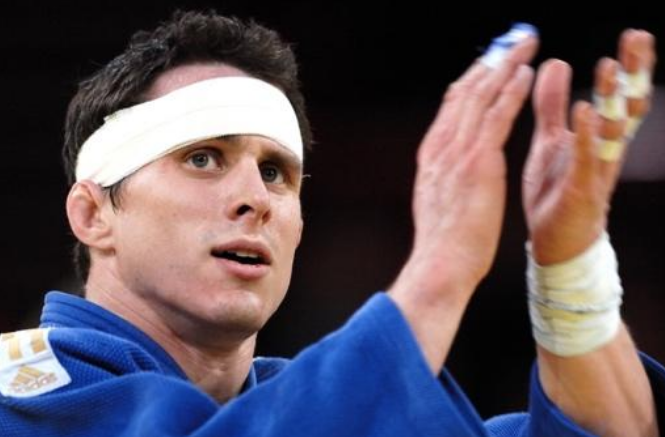 His programme “Champions for Life” aims to improve lives and build positive people through judo. The friendship and respect between Nuno Delgado Escola De Judo and Sportif Judo and the positive aim to improve lives through judo makes our clubs a very natural fit.